These plaques are meant to be given to departing servicemen/women when they are changing jobs or duty assignments as a show of appreciation from their peers and subordinates. This particular model is meant for Officers and Senior NCO's and can stand alone on a desk or shelf or be fitted with a hanger for display on a wall. 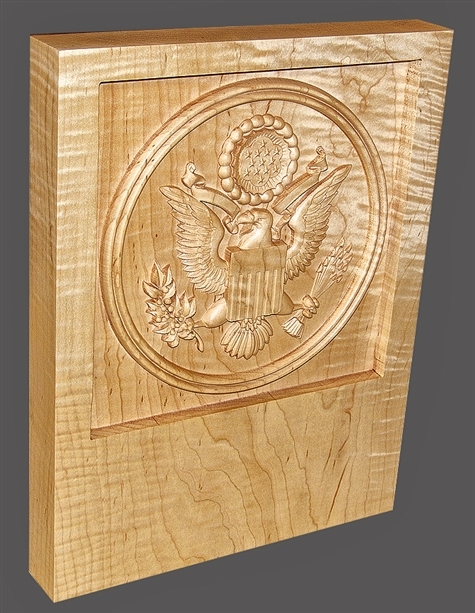 It stands 16 inches tall by 12 inches wide and is 1 13/16 inches thick and is made out of Curly Maple with a polyurethane finish and beautifully detailed. 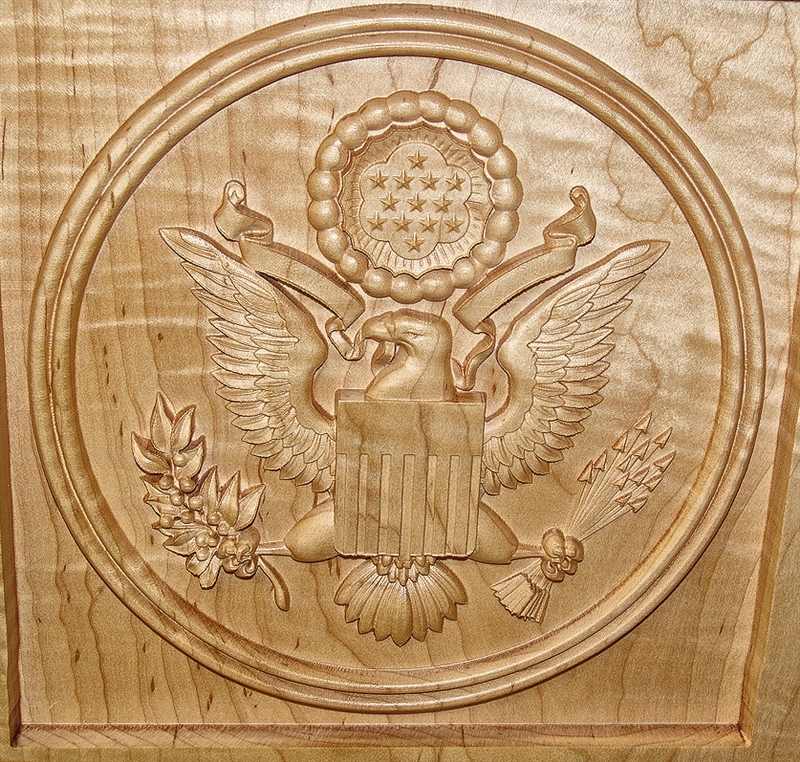 The negative relief carving measures 10" x 10" square. Below the carving there is a 5 1/2 inch tall space large enough to affix an engraved metal plaque (not provided) with the service members rank, name, job position, etc as well as a unit crest, unit challenge coin, branch insignia or any other similar item on either side of the metal plaque for individual customization.